Drywall can help create a room fit for an interior design magazine, but when poorly installed, it leaves your home looking cheap and shoddy. Because finishing methods vary, discussing your expectations with your installer goes a long way toward getting good results. Beyond that, learn what flaws are never acceptable, so you don’t get stuck with a second-rate drywall job. 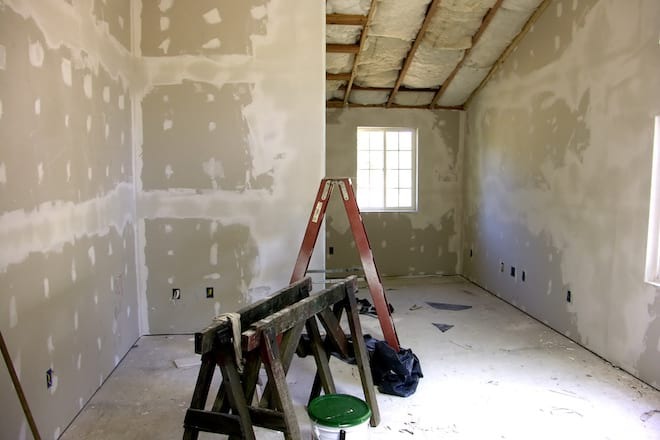 Rough-looking drywall isn’t always a sign of unskilled work. There are five acceptable levels of drywall finish outlined in the Gypsum Association’s guide Recommended Levels of Gypsum Board Finish. The higher the level, the fewer the flaws. Higher levels involve more work and expense, so installers use them only when they’re required or requested. Before you can decide whether a drywall job is bad or not, you need to know what the installer was aiming for. While it’s important to discuss what level of finish you want, the installation should always meet professional standards. In your garage, a Level 2 finish with a few minor ridges is normal and not a sign of a bad installation job. That same level in your living room, however, suggests low quality work. Level 1 – This is a rough finish used in rarely seen areas, such as an unfinished attic, the space above a ceiling or a commercial building’s service corridor. At this level, you’ll see some ridges and tool marks. Nails, screws, and other fasteners, as well as joints might be slightly visible. Level 2 – This finish is used in garages, storage sheds, commercial warehouses, and similar buildings. Nails and screws should be well covered and largely invisible, but you might notice a few ridges and tool marks. Level 3 – This finish is the lowest level you’ll want in your house and then only if you plan to use a heavily textured paint or wallpaper. The wall should be smooth with no ridges, tool marks or signs of fasteners and then finished with a coat of drywall primer. Level 4 – At this level, your installer will apply extra layers of joint compound to joints, tape, and fasteners, then finish with a primer to create a perfectly smooth surface. You can then apply flat paint or lightly textured wallpaper without bumps or other drywall imperfections showing. Level 5 – If you plan to use a high-gloss, semi-gloss, satin finish or enamel paint, this is the drywall finish you’ll want. It involves all the extra joint compound layers used for Level 4 plus a skim coat, or thin layer of joint compound, plaster or other material specially formulated for the purpose. Primer application is the final step. While certain flaws are expected at lower levels of finish, some issues should never show up in a quality installation job. Visible joints – Ideally, you shouldn’t be able to tell where one sheet of drywall ends and the next starts. Visible joints and gaps wider than 1/8 inch are signs of poor installation work. These are often caused by incorrectly spaced drywall sheets and air bubbles under the tape used to cover the joints. Visible nail and screw holes – Visible nails and screws are a bad sign even at lower levels of finish. In older drywall, look out for “nail pops,” or nails pushing out of the drywall. One or two are generally harmless and easy to fix. If they’re happening all over the wall, it suggests the drywall is failing and might have been poorly installed. Uneven corners – At any level of finish, the corners of your drywall should be smooth and straight. There should be no crooked lines, gaps, indentations, bubbles or creasing. Badly applied tape can leave indentations and creases. A crooked corner bead can cause a wavy corner. Rough surface – Some minor ridges and roughness are acceptable at lower levels of finish. At Level 3 and above, however, the drywall should feel largely smooth. Ridges are caused by leftover joint compound, carelessly applied second coats of compound, air bubbles or issues with joint tape. Often, the installer can sand these down. Grooves are usually the result of over-sanding and smoothing them out requires adding more compound. Cracks, however, aren’t necessarily a sign of a bad drywall job. Especially in an older home, the constant temperature-related expansion and contraction of the building eventually cracks the drywall. Less often, it suggests structural damage. Crooked panels – Drywall often ends up crooked when an installer tries to do everything alone. It’s hard to hold a heavy sheet of drywall in place and install the screws at the same time by yourself. Other times, it’s because the wall itself is crooked. A skilled installer might be able to get the drywall straight even on a crooked wall, but it’s not always possible. Crooked drywall on a crooked wall doesn’t necessarily mean the installation job was bad. Sagging ceilings – Assuming you don’t have any water leaks upstairs, sagging, or “pillowing,” drywall on your ceiling is usually the installer’s fault. They might have used 1/2-inch drywall sheets instead of stronger 5/8-inch sheets that can stand up to gravity. Using nails instead of screws is another possible cause of sagging drywall. 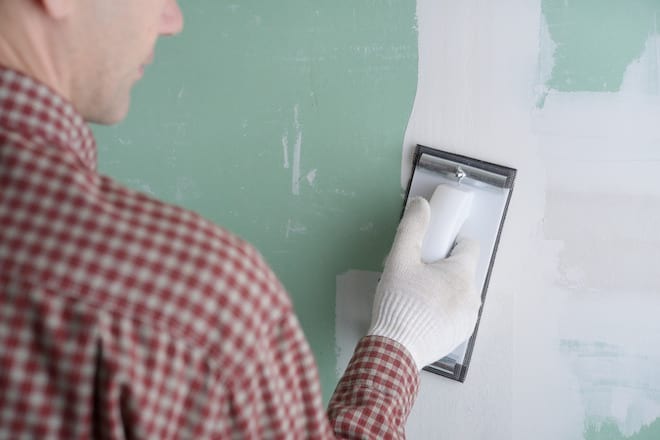 Leftover mess – Achieving a smooth finish on drywall takes a lot of sanding, which produces a lot of fine dust. Responsible professionals clean up the dust thoroughly before they leave. 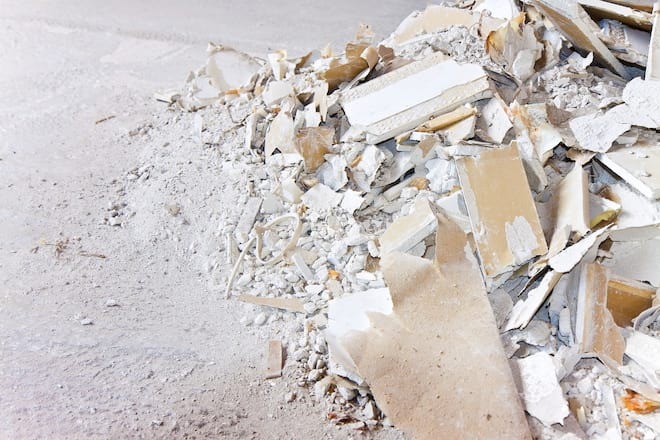 If not removed, drywall dust can interfere with your wall paint and even gum up the joints of your windows and doors. If your installer didn’t care enough to clean up their mess, it calls the rest of their work into question. Drywall installation is specialized work that takes patience and attention to detail, so imperfect jobs aren’t uncommon. While you can expect minor flaws in your unfinished attic or garage, don’t put up with major issues that compromise your home’s appearance. If you spot clearly visible joints, fasteners, ridges or crooked corners, call your installer to have the work corrected.